A birthday, anniversary or yartzeit is a special day to those who are marking the date. It is a day of emotion and self reflection. A day of family and blessing. 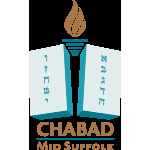 Chabad of Mid-Suffolk will be sending cards to members of the community in honor of their special day. Each card will have a few words of explanation on how that day can be marked in a Jewish fashion. If you would like to send a card as well to a friend or family member, please fill out the form below and for a small donation, we will send your wishes to those dear to you. ** Cards will be sent according to the Jewish dates. Please allow 3 weeks for processing and mailing.